Helen “Sally” Hazel Hatch-Prouty, 81, passed away January 14, 2019. 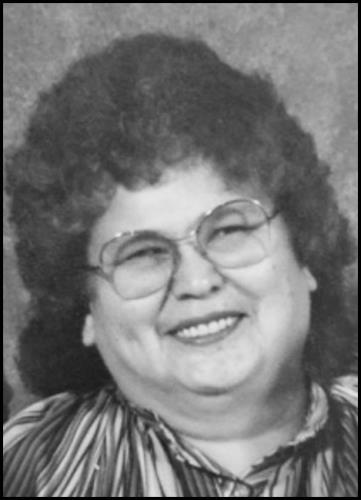 She was born March 28, 1937 to Donald Hatch Sr. and Katherine Fryberg-Hatch of Tulalip, WA. Sally grew up in Tulalip, on Hermosa Beach, she spent a few years living with her Aunt Iris in Sequim, WA. She moved back to Tulalip and met Wesly and had and raised three children, Diane Charles, Audrey Charles, and Donald Charles. She also had another daughter, Mary Gates whom she blessed Pat and Ada Gates to raise. Sally worked as a cashier at the smokeshop in Tacoma, WA. She worked in the bingo deli for a few years and she also enjoyed bagging candy for the Tulalip Tribes’ Christmas. Sally leaves behind her children along with her brother, Donald Hatch Jr.; sisters, Illene (Chuck) James, Cynie (Max) McGee; 14 grandchildren; 40 great grandchildren; and 14 great-great grandchildren; and numerous nieces and nephews. She was preceded in death by her mother, Katherine (Molly) Hatch; father, Donald Hatch Sr.; husband, Wilbur Prouty; her son, Roger Wayne Charles; brother, Larry Hatch; sisters, Evelyn Cross, Donna Muir, and Barbara Hatch; great grandson, Josiah James; and great granddaughter, Kristina Johnson. She enjoyed bowling, bingo, country music, slots, and most of all, her family, especially at Christmas time. Visitation will be Thursday, January 17, 2019 at 1:00 p.m. at Schaefer-Shipman Funeral Home. A private evening service will be held. A Funeral Mass will be held Friday, January 18, 2019 at 10:00 a.m. at St. Anne’s Catholic Church with burial following at Mission Beach Cemetery. This entry was posted in Obituaries by Kim Kalliber. Bookmark the permalink.